A site operated by Casting Calls America (the "Site") is comprised of various web pages owned and operated by Casting Calls America LLC ("CCA"). The site is offered to you conditioned on your acceptance without modification of the terms, conditions, and notices contained herein (the "Terms"). Your use of any site operated by Casting Calls America LLC constitutes your agreement to all such Terms. Please read these terms carefully, and keep a copy of them for your reference. Our site provides talent/performer casting listing information and resources to publish and submit to such and is a software as a service (SaaS) platform. CCA IS A TALENT LISTING SERVICE. THIS IS NOT A TALENT AGENCY CONTRACT. ONLY A TALENT AGENT MAY ENGAGE IN THE OCCUPATION OF PROCURING, OFFERING, PROMISING, OR ATTEMPTING TO PROCURE EMPLOYMENT OR ENGAGEMENTS FOR AN ARTIST. 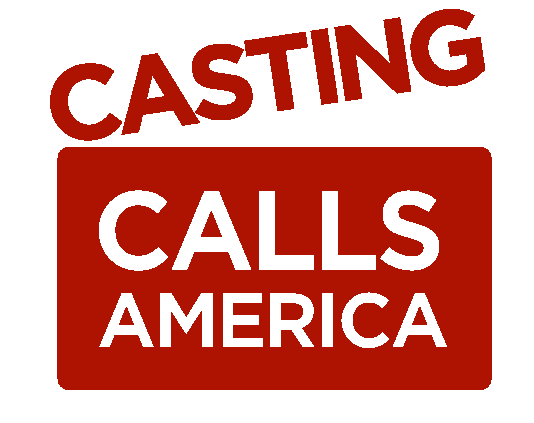 CASTING CALLS AMERICA LLC IS PROHIBITED FROM OFFERING OR ATTEMPTING TO OBTAIN AUDITIONS OR EMPLOYMENT FOR YOU. IT MAY ONLY PROVIDE YOU WITH LISTING INFORMATION. Visiting our site(s) or sending emails to CCA constitutes electronic communications. You consent to receive electronic communications and you agree that all agreements, notices, disclosures and other communications that we provide to you electronically, via email and on the Site, satisfy any legal requirement that such communications be in writing. If you use our sites, you are responsible for maintaining the confidentiality of your account and password and for restricting access to your computer, and you agree to accept responsibility for all activities that occur under your account or password. You may not assign or otherwise transfer your account to any other person or entity. You acknowledge that CCA is not responsible for third party access to your account that results from theft or misappropriation of your account. CCA and its associates reserve the right to refuse or cancel service, terminate accounts, or remove or edit content in our sole discretion. You may cancel your subscription and obtain a full refund, without any penalty or obligation, only if notice of cancellation is given, in writing, within 10 business days from the date on which you first commence utilizing services. For purposes of this section, business days are Monday through Friday. To cancel and to receive a refund, email a written request with your name, email address and the language “I would like to cancel my subscription and receive a refund.” to support@castingcallsamerica.com within those 10 business days. If you cancel within said timeframe, all fees will be refunded to you within 10 business days after delivery of the cancellation notice to the talent service. Refunds will not be issued past this date. Once your profile is posted, you are utilizing our services as a listing service. You may cancel your monthly subscription at any time prior to your monthly billing date to avoid the next month's charge. This option is found on the “Account Settings” page accessible from the menu dropdown. Should you wish to have a profile you’ve created removed you may do so at any time by selecting “Close Account”. This option is found on the “Account Settings” page accessible from the menu dropdown. Our sites may contain links to other websites ("Linked Sites"). The Linked Sites are not under the control of CCA and CCA is not responsible for the contents of any Linked Site, including without limitation any link contained in a Linked Site, or any changes or updates to a Linked Site. CCA is providing these links to you only as a convenience, and the inclusion of any link does not imply endorsement by CCA of the site or any association with its operators. Certain services made available via our sites are delivered by third party sites and organizations. By using any product, service or functionality originating from our sites' domain, you hereby acknowledge and consent that CCA may share such information and data with any third party with whom CCA has a contractual relationship to provide the requested product, service or functionality on behalf of our users and customers. Materials provided to our sites or posted on any CCA web page CCA does not claim ownership of the materials you provide to CCA (including feedback and suggestions) or post, upload, input or submit to any CCA Site or our associated services (collectively "Submissions"). However, by posting, uploading, inputting, providing or submitting your Submission you are granting CCA, our affiliated companies and necessary sublicensees permission to use your Submission in connection with the operation of their Internet businesses including, without limitation, the rights to: copy, distribute, transmit, publicly display, publicly perform, reproduce, edit, translate and reformat your Submission; and to publish your name in connection with your Submission. The Service is controlled, operated and administered by CCA from our offices within the USA. If you access the Service from a location outside the USA, you are responsible for compliance with all local laws. You agree that you will not use the CCA Content accessed through our sites in any country or in any manner prohibited by any applicable laws, restrictions or regulations. Unless otherwise specified herein, this agreement constitutes the entire agreement between the user and CCA with respect to the Site and it supersedes all prior or contemporaneous communications and proposals, whether electronic, oral or written, between the user and CCA with respect to the Site. A printed version of this agreement and of any notice given in electronic form shall be admissible in judicial or administrative proceedings based upon or relating to this agreement to the same extent and subject to the same conditions as other business documents and records originally generated and maintained in printed form. It is the express wish to the parties that this agreement and all related documents be written in English. CCA reserves the right, in its sole discretion, to change the Terms under which our sites are offered. The most current version of the Terms will supersede all previous versions. CCA encourages you to periodically review the Terms to stay informed of our updates. Every time you login to your account you are accepting the current terms and conditions. Copyright © Casting Calls America LLC 2018 All rights reserved.